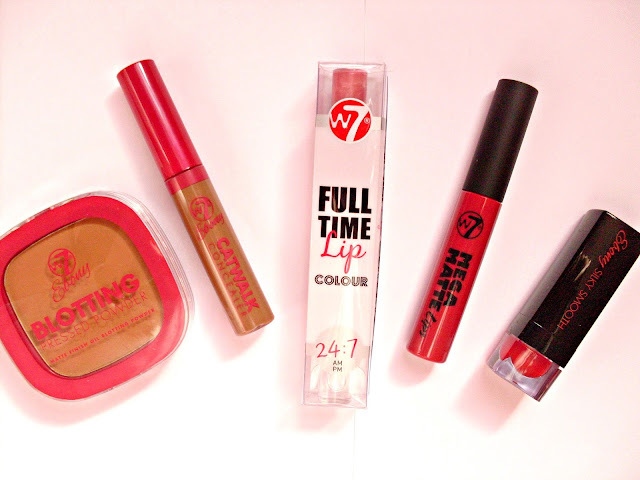 W7 Ebony Collection, Matte Lips and more! W7 as a brand are constantly releasing new affordable products, many of which offer a great dupe to some cult products. They also have some eyeshadow compacts due for release that bear more than a striking resemblance to the UD naked basics palettes, check them out on the homepage here if you're as curious as I am! Recently I got to try out some of their products, including the new Ebony range catered to darker skintones. 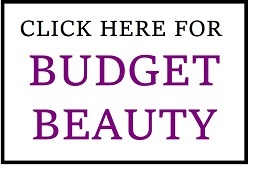 The Ebony blotting pressed powder* is a great transportable compact for on the go. 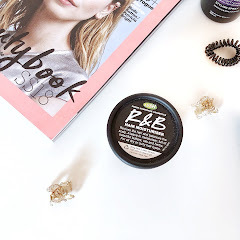 The packaging is sturdy, and also includes a mirror and sponge that is cleverly hidden away under the powder, making it perfect for those humid summer days. It comes in a choice of two shades: medium and deep. I received the medium, and as a rough indicator I would say it's for those around NC40 and above. 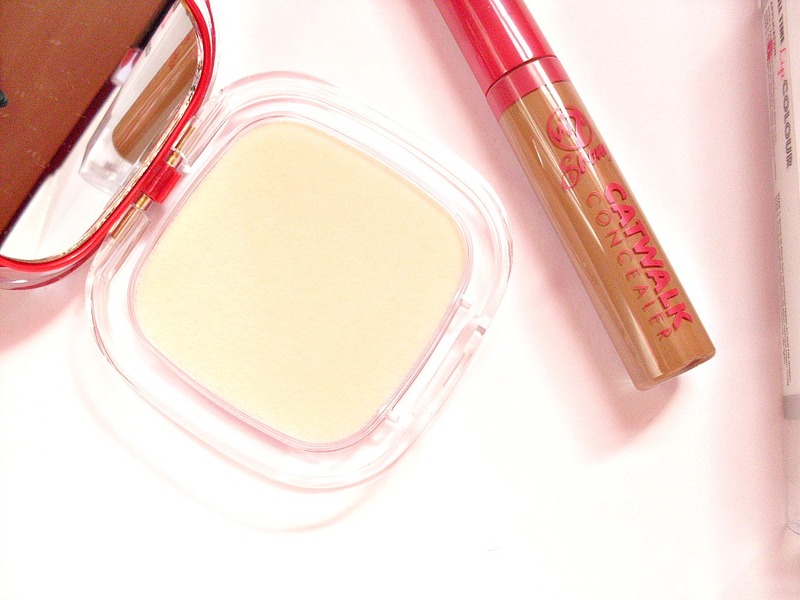 The powder itself is incredibly smooth and feels very finely milled. The Ebony catwalk collection concealer* comes with a classic doe foot applicator and the packaging gives you a good idea of the shade you'll be getting. 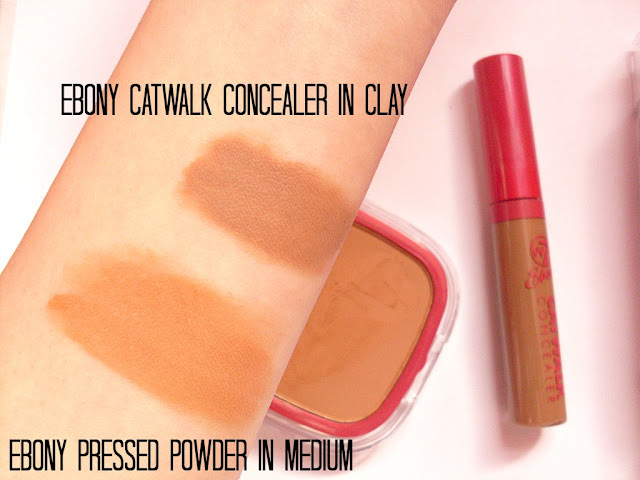 The shades available are: clay and earth, with clay being the lighter of the two. The concealer offers medium coverage that could easily be built on, it also blends in quite easily and doesn't feel heavy on the skin. However, the shade clay is much deeper than the powder in medium, so the shades don't seem to be coordinated. 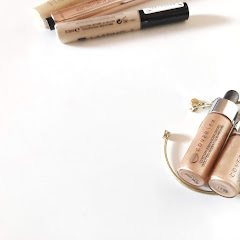 This might be an overreaction but this could be a good alternative for those who find the collection lasting perfection concealer doesn't run very deep as their shades are limited to 4. Seeing as these shades are too deep for me I decided to use them as a contour instead. Recently I just can't get a natural contour using bronzer, so I've been using concealers a few shades deeper or brown eyeshadows that almost mimic a shadow. I placed the W7 Ebony catwalk concealer just under my cheekbones and quickly blended upwards with a rt contour brush. You do have a bit of time but I wanted to work quickly before the concealer set. Overall, I quite liked the end result, it looked very natural and didn't look cakey at all. However, when I added the pressed powder over the top it did look a bit orange as the powder has a slight warm undertone. I'll just be sticking to the concealer next time. I also got to try some lip products! 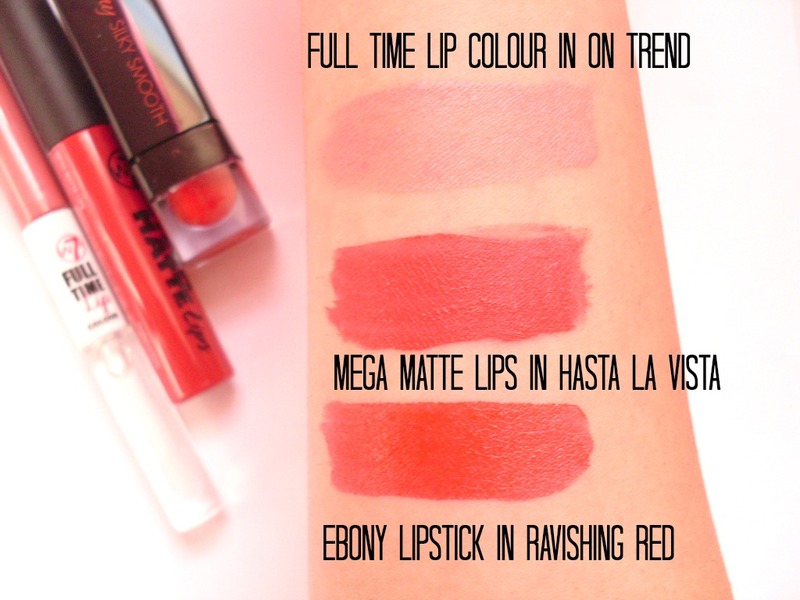 The first product is the Full Time lip colour in On Trend*. 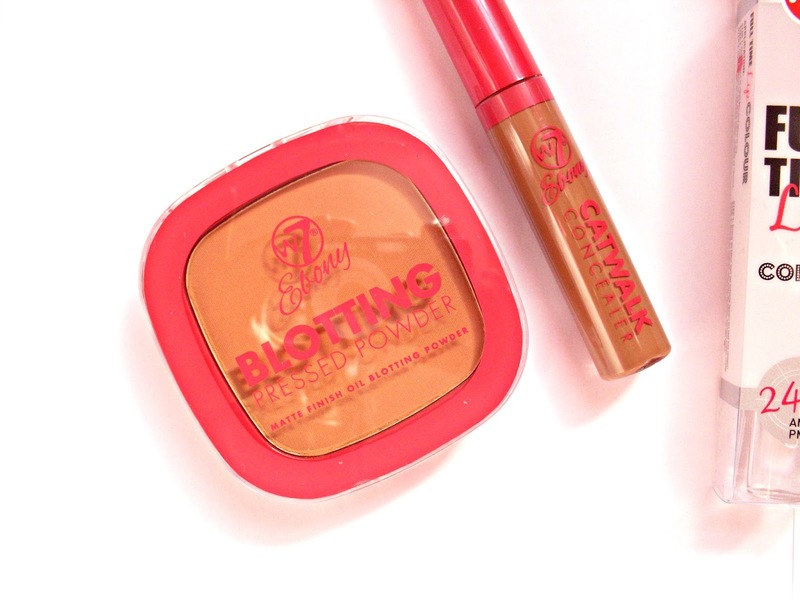 It's meant to be one of those incredibly long lasting lip glosses. I remember trying something similar years back which involved putting a sort of sealant over lipstick, it had such a strong chemical scent! Fortunately, there wasn't much of a scent with this product. The formula of the lip colour and gloss also seemed to be quite good. However, it's not a shade I would realistically wear. It's a pale pink with a shimmery/frosted finish that I can't pull off. However, the disappointment was very short lived! I then tried on the Mega matte lips in Hasta La Vista* and to say I love it would be an understatement. It's a lovely lip cream that goes on so smoothly and sets after a minute giving the most lovely matte finish without the dry feeling. 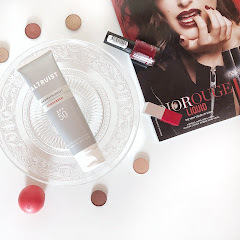 I previously tried out a Manhattan lip cream here which I also loved, but they can be hard to find and they don't have a wide selection of shades. 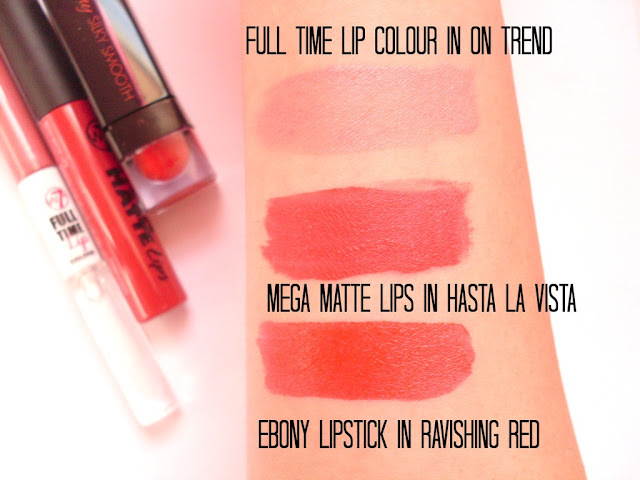 Hasta La Vista is a red with a pinkish undertone, it's great for an everyday summer look when you don't want a strong red lip. I used the doe foot applicator to put it on which makes it super easy. You also have a minute in which you can build the shade up before it sets, although it is incredibly pigmented! 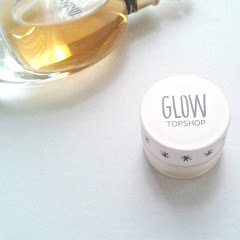 The lasting power was outstanding, normally I'm lucky if I can get 2-3 hours out of a lip product, but this survived a whole afternoon of shopping and snacking, atleast 5 hours! 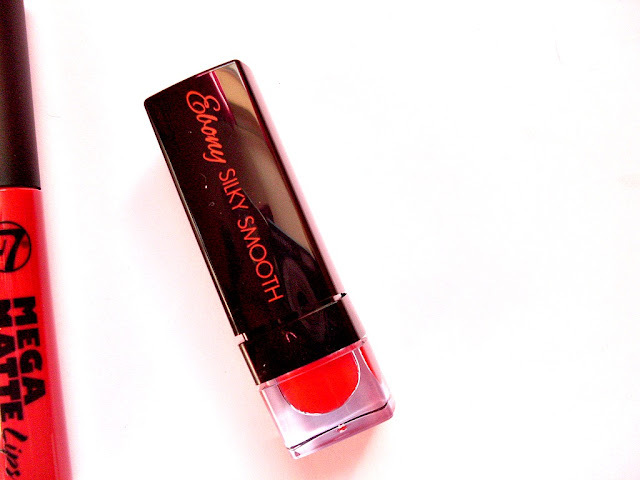 Lastly, I tried out the Ebony Silky Smooth lipstick in Ravishing Red*. 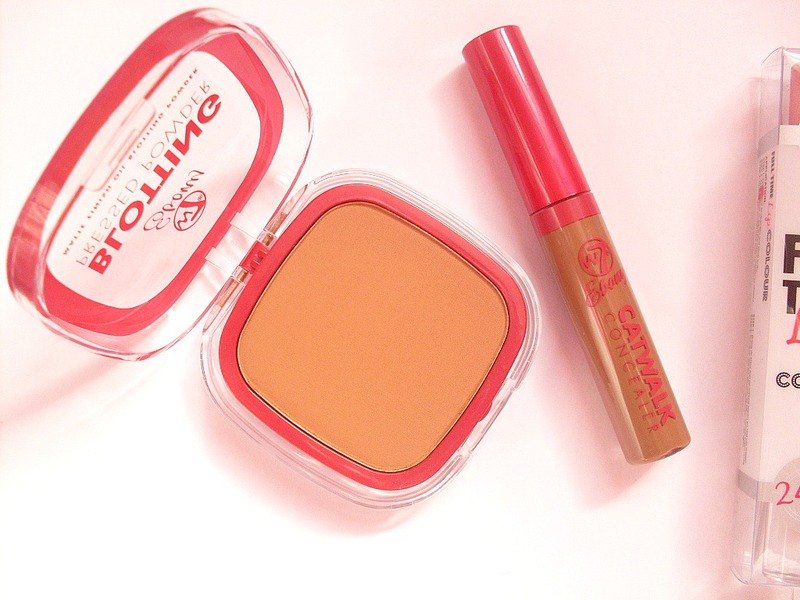 The packaging is very classic and again gives you a good idea of the shade. 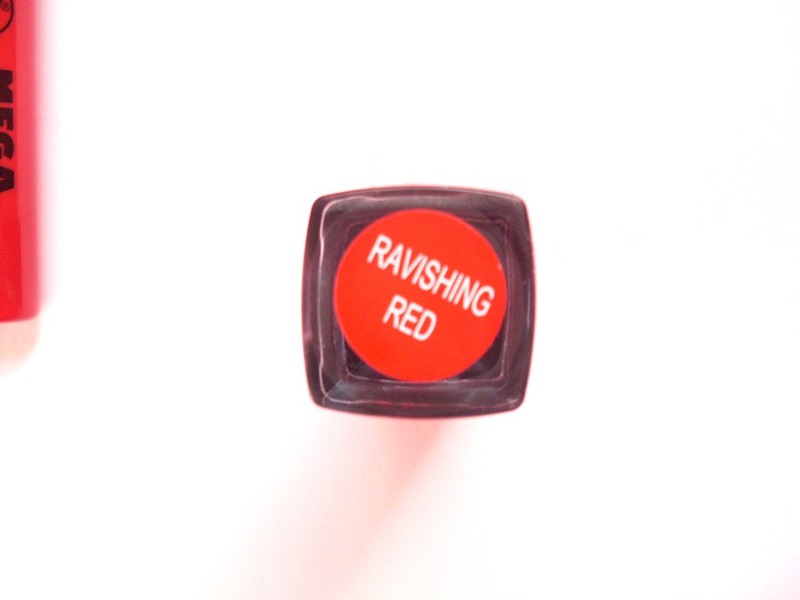 In this case Ravishing Red is a pillar box red with neutral undertones, it doesn't run too warm or too cool so would be a great shade for everyone. The formula is very smooth and very pigmented. I used a lip brush to get a more precise finish and it went on really well, it didn't highlight any lines and it felt quite moisturising. The lasting time was also as good as the lip cream. It has quite a satin finish, which bordered a bit on the glossy side. If you're looking for a statement red then look no futher! As you can see from the swatches which are one swipe each, the products have an insane amount of pigmentation, and I would really recommend the last two. Which products from W7 would you recommend?